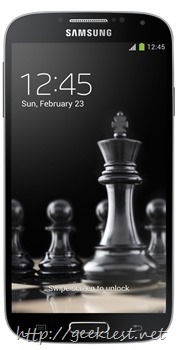 Samsung Galaxy S4 which launched for 41,500 INR in market (2013) is reduced to 17,999 INR. Samsung have reduced the price earlier to 21,900 INR. If you can buy this phone from Amazon store you can get Amazon gift voucher worth INR 1000 too. So effectively you can get this phone for just 16,999. Is the phone worth the value ? If you want a good Samsung phone and your budget is around 20,000 this is a good choice, but if you are just looking a for a smart phone (do not have any brand specification) you can have a look on the OnePlus One which is 21,999 INR available only on Amazon (it will require an invitation, check How to get a OnePlus One India invitation for Free ), or Xiaomi MI4 only available on Flipkart (you will have to wait for the sale). Shop Samsung Galaxy S4 from Silcare seller when fulfilled by Amazon and get Amazon.in Gift Card worth ₹1,000. Gift Card will be shared post 90 days of purchase, if order is not returned or cancelled. The order quantity for this product is limited to 2 units per customer. Please note that orders which exceed this limit will be auto-canceled. Offer valid on limited stocks. Hurry!